The e-z grip bedrail 2107 Rose Healthcare with adjustable height bed assist handle is truly quality built for getting in to and out of your bed. Our fit is very adjustable to mattress/frame heights as low as 14 inch to the top of the box spring and up to 37 inches. Can be used on either side of the bed. The extra quality of this side rail are for the purpose of aiding in turning and repositioning within the bed. 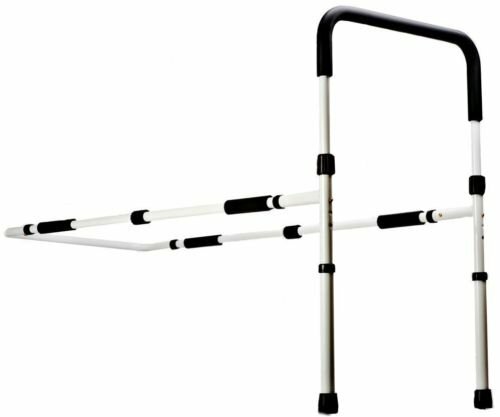 This product can be used as an aid in balance and support when getting in and out of the bed. The removable handle is powder coated steel that is strong, smooth solid and easy to clean with the e-z grip covering. Made in Taiwan. Enjoy.